Quality workmanship and client satisfaction are important to us. We use superior materials and provide professional knowledge and expertise. Each garden is different, so costs will vary depending on what is requested. 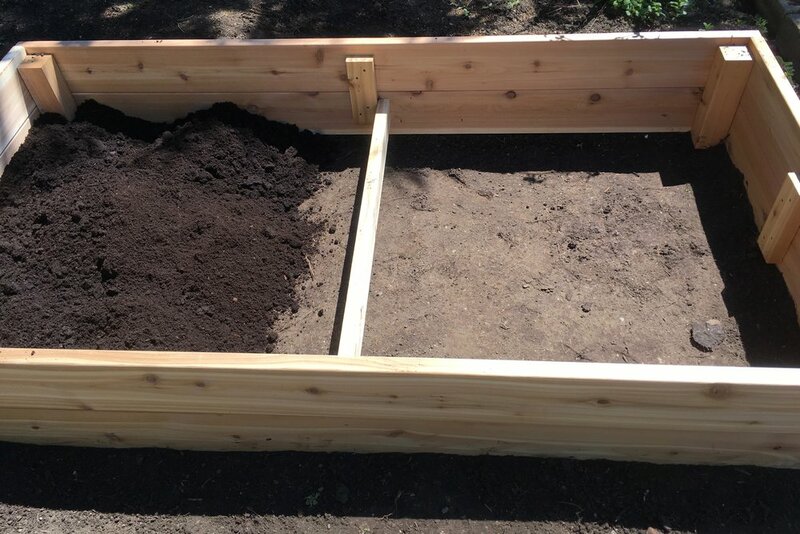 Raised beds are typically made from Western Red Cedar. We prefer Cedar because it is attractive, naturally rot-resistant, free of chemical preservatives, and lasts for years. Custom sizes and heights are available, but most beds are typically 4' x 4' or 4' x 8'. The recommended minimum height is 16". This enables optimal growing, and allows for root crops like carrots and garlic. We offer a custom soil blend that promises bountiful yields. Costs will vary depending on size. Contact us for a free estimate! Sit back, relax, and enjoy the harvest! Let us do the work, so you don't have to. Garden maintenance can be performed on a seasonal, monthly, bi-weekly, or even weekly schedule. It can be tailored to fit your needs. We also do vacation garden sitting! Maintenance activities can include planting, weeding, watering, fertilization, pruning, pest management, and even harvesting. We offer succession planting to keep the veggies coming all season long! Cost of regular garden maintenance is $45/hour. Alongside growing fruit and vegetables, we're passionate about growing people! We love to train others in sustainable organic growing practices. Garden coaching can be done through one-on-one or even group/family sessions. Through personalized coaching we provide the training and expertise required to help you master your garden and optimize your harvest. We also offer consultations to help with soil, pest, and plant problems, and to help you start your garden right. Cost of coaching or consultation is $60/hour.